Newspapers working on the mammoth leak of offshore data say the Panamanian firm at the centre of the scandal used the name and reputation of the International Committee of the Red Cross to help obscure the origin of millions in questionable money. There is no suggestion that the humanitarian group knew its name was used in this way, and Red Cross spokeswoman Claire Kaplun said on Sunday that the revelation was "extremely shocking". 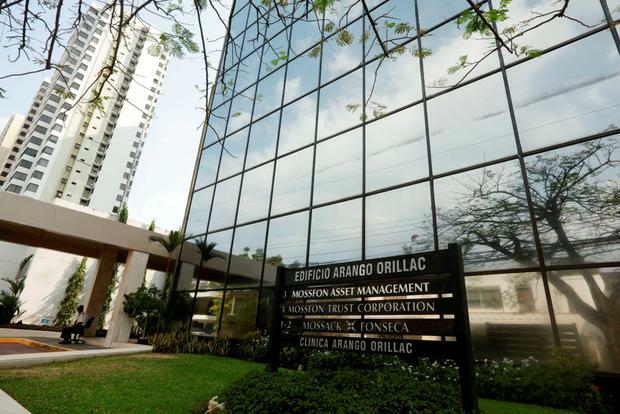 France's Le Monde and Switzerland's Le Matin Dimanche said Mossack Fonseca created dummy foundations to hold shares in some 500 offshore companies. The foundations claimed beneficiaries such as the Red Cross, a manoeuvre that kept the companies' true owners anonymous, while cloaking them in an "NGO aura". Mossack Fonseca is yet to comment on the latest claims. Meanwhile, Spanish online news site El Confidencial has published documents it says show a former chairman of one of Spain's largest banks used Mossack Fonseca to create an offshore company. El Confidencial says it has obtained documents that outline how former Caja Madrid chairman Miguel Blesa in 1989 used Mossack Fonseca to create Danforth Investments in the British Virgin Islands. The news site says the documents show the purpose of Danforth was to invest in Spain-based companies such as aircraft manufacturer Construcciones Aeronavales and arms firm EINSA. Caja Madrid was merged with seven other Spanish savings banks in 2011 to form Bankia SA, which later had to be nationalised and bailed out by the state for 18 billion euro. Mr Blesa was chairman of Caja Madrid from 1996 to 2009 and has been under investigation for alleged irregularities in the bank since 2013. El Confidencial said Mr Blesa's lawyers have declined to comment on its report. In Pakistan, opposition leader Imran Khan has called on prime minister Nawaz Sharif to resign, saying the leaked documents indicate his sons own several offshore companies. Mr Khan warned he will stage a rally outside Mr Sharif's residence in the eastern city of Lahore if the prime minister does not quit. He attached no date to the ultimatum. Information minister Pervaiz Rashid rejected Mr Khan's demand, saying the PM will not quit over "baseless allegations". Last week, Mr Sharif announced the establishment of an independent judicial commission to probe whether his family illegally owns offshore companies and property, as indicated in the Panama Papers.